Groundbreaking took place for the new Cristo Rey Cottage! On January 13, 2018, we celebrated the groundbreaking of the Second Assisted Living Cottage in our Neighborhood of Care at Santa Teresita. Our Sisters were joined by many friends, benefactors, and residents to witness and be a part of this historic and blessed moment. The ceremony was a reflection of the power of love, the miracle of faith, and the unparalleled joy of working hand in hand with our friends and co-workers to bring about a much-needed transformation in healthcare for our beloved elders. Monsignor Clement Connolly, Pastor Emeritus of Holy Family Parish in South Pasadena, and Bill Ahmanson, President of the Ahmanson Foundation, were among those who shared about their experiences at Santa Teresita and the importance of our mission there – to help all those who come to us experience and receive an abundance of God’s grace and love. 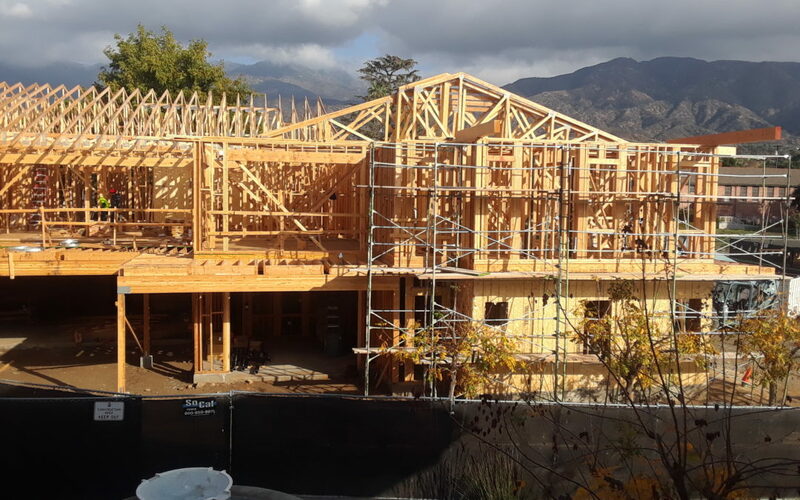 Bishop David O’Connell, San Gabriel Regional Bishop for the Archdiocese of Los Angeles, blessed the site of the Second Cottage, asking the Lord for help in bringing this new construction project to successful completion and for blessings upon all who have helped make it possible. Our Santa Teresita campus will help our elders live with dignity and vibrancy. It is the committed mission of the Carmelite Sisters to be at the service of YOUR family for LIFE! Our heartfelt thanks go out to all who have supported Santa Teresita over the years, especially in building our Second Assisted Living Cottage. Today, the Second Cottage… Tomorrow, a Neighborhood of Care!